A beta of Windows 7 Upgrade Advisor is now available to help people analyze their PC in preparation for a Windows 7 upgrade. Windows 7 Upgrade Advisor is a free tool that people can download as of today to help them determine if their PC is able to upgrade to and run Windows 7. The beta can be downloaded here (English only at this time). 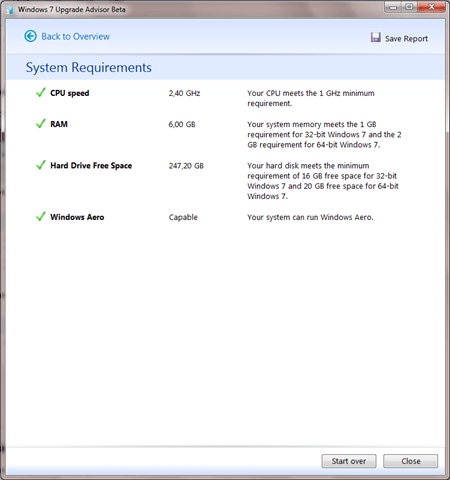 Windows 7 Upgrade Advisor examines a PC’s processor, memory, storage, and graphics capabilities, identifies known compatibility issues with installed software and devices and finally provides guidance on how to resolve those issues if possible. 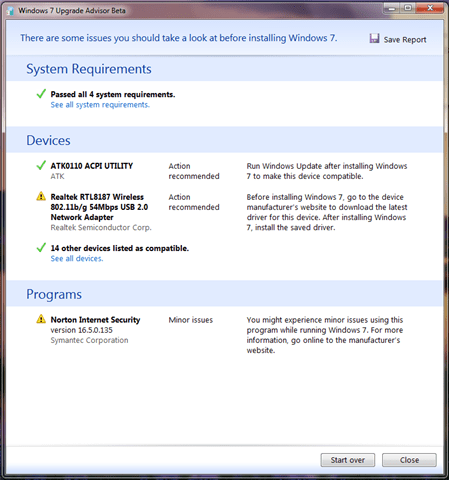 Please also note: as previously stated on the E7 blog, Windows XP users are required to do a clean install of the Windows 7 RC as well as the final product. 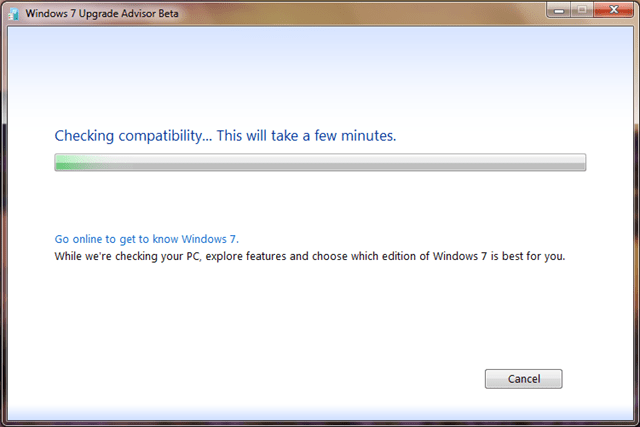 Only PCs with Windows Vista can be upgraded to Windows 7.
this tool might help you decide to take the leap or not. Try it out yourself. 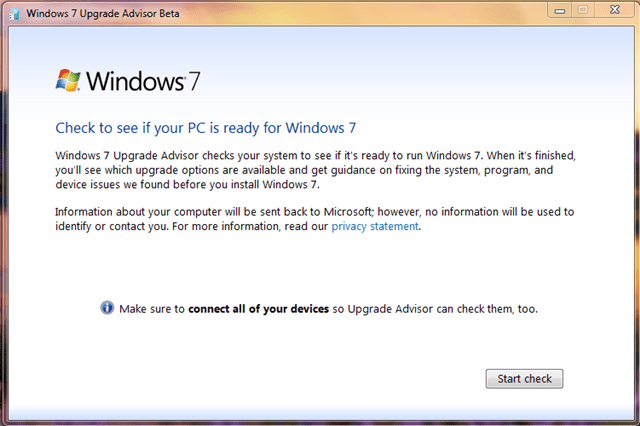 You can download the Windows 7 Upgrade Advisor here.